"Absolutely the best customer service and quality repairs you will find in the Hamilton County area--reliable, dependable, & professional!!!" "Awesome fast service and can't beat the value! We use them every chance we get!" "These guys are the best HVAC guys in Chattanooga!" "Rivertech always comes through in a pinch. Called them for a stalled unit upstairs in the morning before we had a house full of guests and they came two hours later and had it up and running. Always courteous, never sketchy. Recommend to all our friends. Rivertech is the best!" "They were fast, responsive, and courteous. The office called when they said they would, the tech arrived on time, and the problem was fixed the first and only visit. I couldn't be happier, and can't recommend them enough. Thank you, Rivertech - you truly don't know how much you miss AC in the south until you don't have it on a 95 degree day." 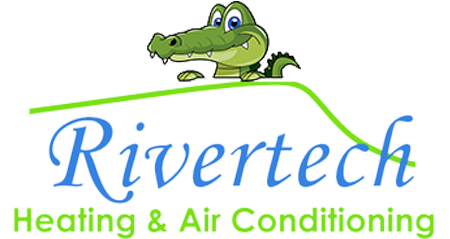 Rivertech Heating & Air Chattanooga is committed to providing the highest quality of heating and air conditioning products to our customers and their homes and businesses. Quality doesn’t have to be expensive! We believe that long time relationships are the keys to success. We are located on East Brainerd Road, serving Chattanooga and all of Hamilton County and surrounding areas. So if you’re in need of a new heating or air conditioning system, service or regular preventative maintenance, call 423-702-5423 or fill out our contact form.